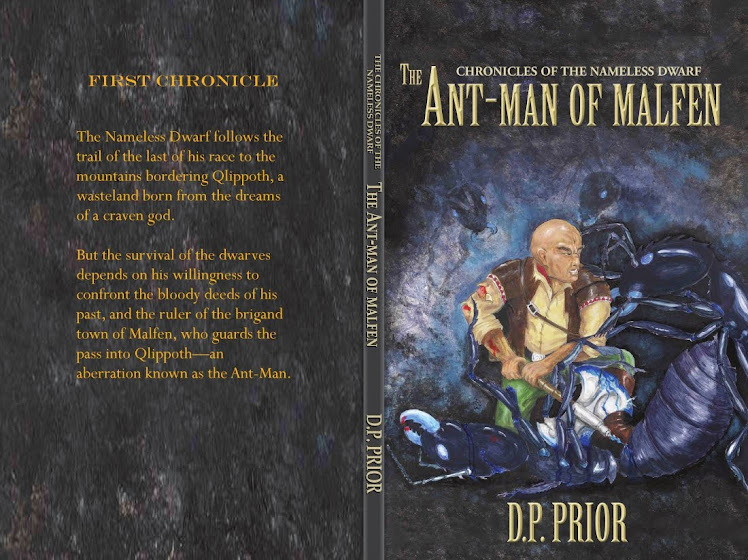 Book 3 of the Chronicles of the Nameless dwarf is well and trull underway. This story tells us more about Ilesa, Silas's book, and the dwarves of Arx Gravis. Nameless finds himself in a difficulty spot and has to rely on others for a change. 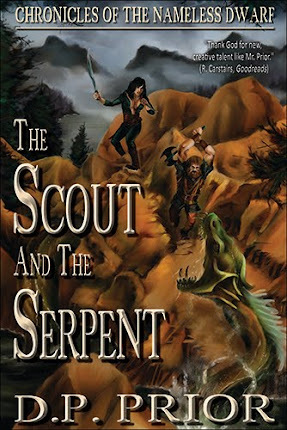 There are strong sword and sorcery elements in this tale, and an ending that starts bringing the story arc into clearer focus, setting the scene for the events of books 4 and 5. Cover art is once more being provided by Patrick Stacy. I've seen the sketches and absolutely love it. It has a bit of a Frazetta feel to it. 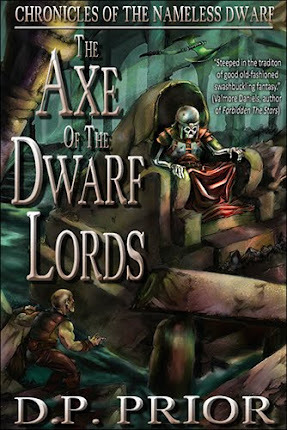 Meanwhile, book 2, The Axe of the Dwarf Lords, continues to sell extremely well. I'm hoping to see some more reviews soon, but the first review was a nice one. 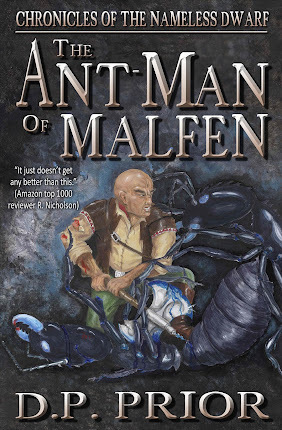 Book 1, The Ant-Man of Malfen, is currently free in the UK and will be featured on ENT at some point this year. Other Nameless news: He makes his first appearance in book 3 of the Shader series, The Unweaving. I'm now at the stage of redrafting the scene where Shader first encounters Nameless. If all goes to plan, The Unweaving should be out by April (if not during the summer some time). 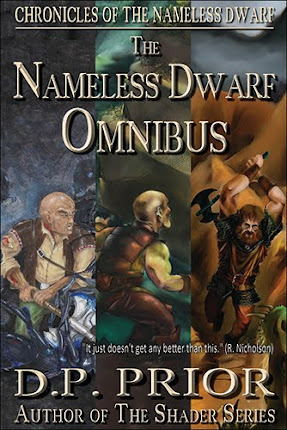 For those of you who don't know, book 5 of the Shader series, which is only in note form currently, is called Rise of the Nameless Dwarf. It's scheduled for release next year, but there's still a chance it could be written this year if certain other things fall into place. Free for one more day!